When Joe was born we had no reason to be concerned for his health or well being. 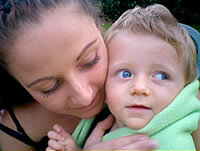 He then contracted meningitis at a week old which we believed was the reason for his delayed development. He was eventually diagnosed with Angelmans syndrome. Despite this Joseph was a happy 3 year old. He had experienced bad health throughout his short life, but nothing compares to the horror of SJS. 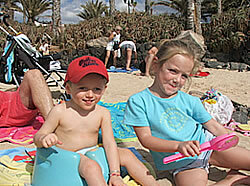 Joe had difficulty to control seizures along with a list of health problems. 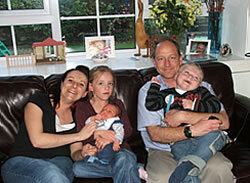 In May 2006, Joe was put on a small dose of Topiramate anticonvulsant, to help his "tremors". We were warned about the usual side effects, loss of appetite, liver problems etc, but not SJS. We wanted to help our little boy stop shaking all day, so we agreed to start treatment. Joe became generally unhappy/unwell, but he only had a high temperature which was erratic. I eventually took him to our local hospital, where they knew Joe well.